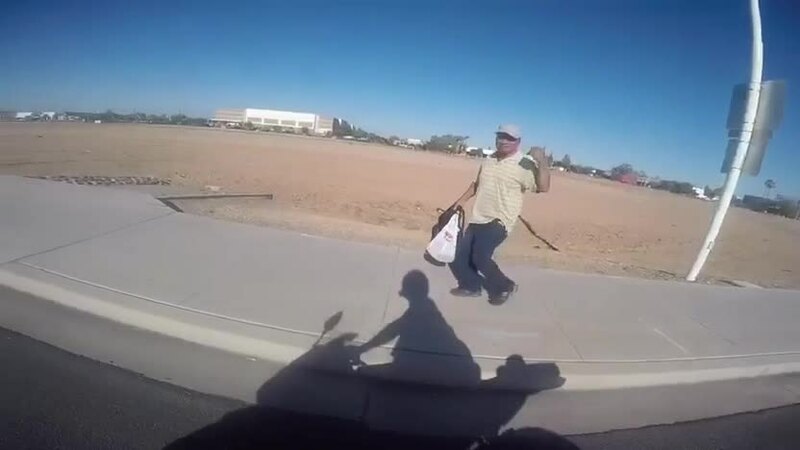 Have you heard of " Lavar the Moto Man "? If you're lucky enough, you might see Lavar trying to help out residents of Arizona. 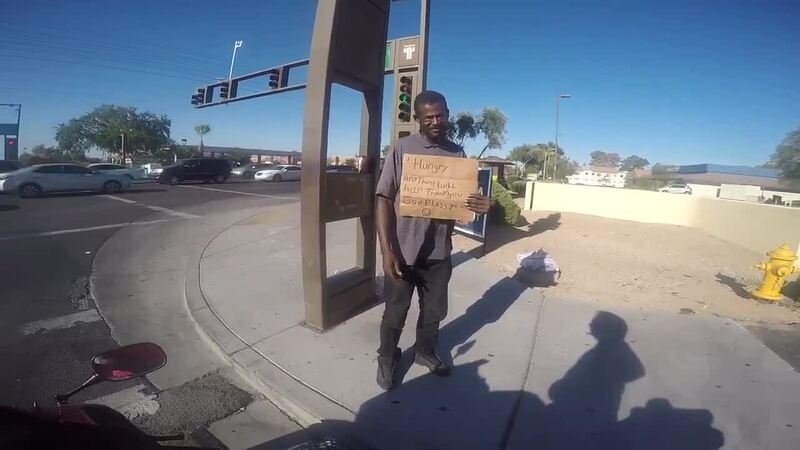 Another video (which you can watch above) showed Lavar giving a homeless man some water and a little cash along Rural Road in Tempe. The video shows Lavar talking to the man and some children at the intersection. 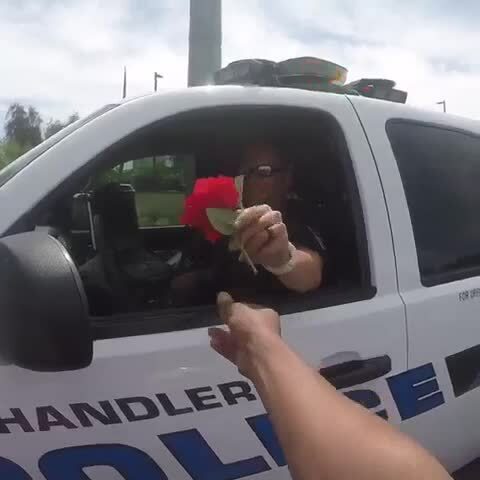 In April, Lavar was seen stopping a Chandler police officer near Dobson and Warner roads just to thank him for his service and to give him a rose. "Be safe on the road today...I just wanted to give you a smile," he says to the officer. Lavar said he does these types of things all the time and tries to do good deeds around town.